"Are there any questions?" The final line in Margaret Atwood's modern classic, The Handmaid's Tale, has teased and perplexed fans since the book's original release more than 30 years ago. Now, in this Audible Original production, listeners get some of the answers they've waited so long to hear. Featuring an all-new interview with Professor Piexoto, written by Atwood and performed by a full cast, The Handmaid's Tale: Special Edition is a must-listen for both fans and newcomers alike. Emmy Award winner Claire Danes (Homeland, Temple Grandin) gives a stirring performance of this classic in speculative fiction, where the message (and the warning) is now more timely than ever. In addition to rich sound design that honors the audio origins of Atwood's classic, the special edition also includes a brand-new afterword from the author and an essay written by author Valerie Martin (Mary Reilly, Property). After a violent coup in the United States overthrows the Constitution and ushers in a new government regime, the Republic of Gilead imposes subservient roles on all women. Offred, now a Handmaid tasked with the singular role of procreation in the childless household of the enigmatic Commander and his bitter wife, can remember a time when she lived with her husband and daughter and had a job, before she lost everything, even her own name. Despite the danger, Offred learns to navigate the intimate secrets of those who control her every move, risking her life for mere glimpses of her former freedom, and records her story for future listeners. Whether you're a fan of the original novel or someone who has recently discovered it, The Handmaid's Tale: Special Edition will shock, impress, and satisfy all those who listen. The Handmaid's Tale: Special Edition features performances by Claire Danes, Margaret Atwood, Emily Bauer, Allyson Johnson, Gabra Zackman, Suzanne Toren, Tim Gerard Reynolds, Jennifer Van Dyck, Ray Porter, Emily Cox, Lauren Fortgang, Dan Reiss, Prentice Onayemi, Therese Plummer, and Mark Boyett. Ready Player One meets Stranger Things in this new novel by the bestselling author who George RR Martin describes as "an excellent writer. "In January 1986, fifteen-year-old boy-genius Nick Hayes discovers he's dying. And it isn't even the strangest thing to happen to him that week.Nick and his Dungeons & Dragons-playing friends are used to living in their imaginations. 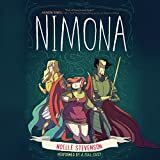 But when a new girl, Mia, joins the group and reality becomes weirder than the fantasy world they visit in their weekly games, none of them are prepared for what comes next. A strange--yet curiously familiar--man is following Nick, with abilities that just shouldn't exist. And this man bears a cryptic message: Mia's in grave danger, though she doesn't know it yet. She needs Nick's help--now.He finds himself in a race against time to unravel an impossible mystery and save the girl. And all that stands in his way is a probably terminal disease, a knife-wielding maniac and the laws of physics.Challenge accepted. George Orwell's 1984 takes on new life with extraordinary relevance and renewed popularity. "Orwell saw, to his credit, that the act of falsifying reality is only secondarily a way of changing perceptions. It is, above all, a way of asserting power." --The New Yorker In 1984, London is a grim city in the totalitarian state of Oceania where Big Brother is always watching you and the Thought Police can practically read your mind. Winston Smith is a man in grave danger for the simple reason that his memory still functions. 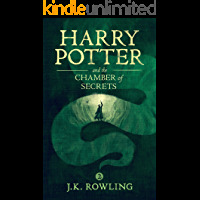 Drawn into a forbidden love affair, Winston finds the courage to join a secret revolutionary organization called The Brotherhood, dedicated to the destruction of the Party. Together with his beloved Julia, he hazards his life in a deadly match against the powers that be. Lionel Trilling said of Orwell's masterpiece, "1984 is a profound, terrifying, and wholly fascinating book. It is a fantasy of the political future, and like any such fantasy, serves its author as a magnifying device for an examination of the present." Though the year 1984 now exists in the past, Orwell's novel remains an urgent call for the individual willing to speak truth to power. "Patrick Hemstreet's debut, THE GOD WAVE, is a bombshell of a thriller full of everything I love: complicated characters, dynamic plotting, all set against a backdrop of a fantastic scientific premise. Here is a novel that demands to be read in one sitting, while leaving a lasting impact afterward. And with more of this world to come, I can't wait to read what happens next." --James Rollins, #1 New York Times bestseller of The Bone Labyrinth"The God Wave is a mind-twisting 'what if?' story with some crazy cool science and true-to-life characters you can't help but root for. It feels like those vivid dreams where everything is normal except you can do this one thing other people can't. A fun and disturbingly believable foray into the paranormal. Don't mess with the Zetas!" --Sylvain Neuvel, author of Sleeping GiantsA team of neuroscientists uncover amazing new capabilities in the brain that may steer human evolution toward miraculous and deadly frontiers in this spectacular debut work of speculative science fiction--Limitless meets James Rollins--that combines spirituality and science in an inventive, mind-blowing fashion.For decades, scientists have speculated about the untapped potential of the human brain. Now, neuroscientist Chuck Brenton has made an astonishing breakthrough. He has discovered the key--the crucial combination of practice and conditioning--to access the incredible power dormant in ninety percent of our brains. Applying his methods to test subjects, he has stimulated abilities that elevate brain function to seemingly "godlike" levels.These extraordinary abilities can transform the world, replacing fear and suffering with tranquility and stability. But in an age of increasing militarization, corporate exploitation, and explosive technological discovery, a group of influential power brokers are determined to control Brenton's new superbeings for their own manipulative ends--and their motives may be far from peaceful. GAME OF THRONES: A NEW ORIGINAL SERIES, NOW ON HBO. 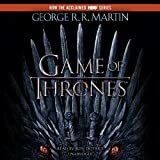 Few books have captivated the imagination and won the devotion and praise of readers and critics everywhere as has George R. R. Martin's monumental epic cycle of high fantasy that began with A Game of Thrones. Now, in A Feast for Crows, Martin delivers the long-awaited fourth book of his landmark series, as a kingdom torn asunder finds itself at last on the brink of peace . . . only to be launched on an even more terrifying course of destruction. A Feast for Crows It seems too good to be true. After centuries of bitter strife and fatal treachery, the seven powers dividing the land have decimated one another into an uneasy truce. Or so it appears. . . . With the death of the monstrous King Joffrey, Cersei is ruling as regent in King's Landing. Robb Stark's demise has broken the back of the Northern rebels, and his siblings are scattered throughout the kingdom like seeds on barren soil. Few legitimate claims to the once desperately sought Iron Throne still exist-or they are held in hands too weak or too distant to wield them effectively. The war, which raged out of control for so long, has burned itself out. But as in the aftermath of any climactic struggle, it is not long before the survivors, outlaws, renegades, and carrion eaters start to gather, picking over the bones of the dead and fighting for the spoils of the soon-to-be dead. Now in the Seven Kingdoms, as the human crows assemble over a banquet of ashes, daring new plots and dangerous new alliances are formed, while surprising faces-some familiar, others only just appearing-are seen emerging from an ominous twilight of past struggles and chaos to take up the challenges ahead. THE GREATEST MYSTERY OF ALL TIME...THE HISTORY OF HUMAN ORIGINS...WILL BE REVEALED. 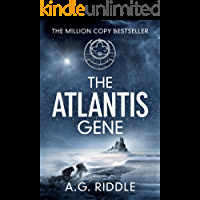 * * *Read the novel that started it all: The Atlantis Gene is the first book in A.G. Riddle's bestselling Origin Mystery trilogy, which has sold OVER THREE MILLION COPIES WORLDWIDE, been translated into twenty languages, and is in development to be a major motion picture! * * *70,000 years ago, the human race almost went extinct.We survived, but no one knows how.Until now.The countdown to the next stage of human evolution is about to begin, and humanity might not survive this time. * * *Off the coast of Antarctica, a research vessel discovers a mysterious structure buried deep within an iceberg. It has been there for thousands of years, and something is guarding it. Could it be the fabled city of Atlantis? Or is it something more dangerous?At the same moment, in Jakarta, Indonesia, a brilliant geneticist named Kate Warner has just made an incredible breakthrough: a cure for autism. Or so she thinks. What she has found is far more deadly--for her and for the entire human race. Her work could unleash the next stage of human evolution. It might also hold the key to unlocking the mysterious structure off the coast of Antarctica.On the other side of Jakarta, Agent David Vale is racing to uncover a conspiracy with far-reaching implications. But he's out of time. His informant inside the conspiracy is dead. His own organization has been infiltrated--and his enemy has turned the hunt on him. Now he's on the run. But when he receives a coded message related to an imminent attack, he risks everything to save the one person that can help him stop it: Dr. Kate Warner.Together, Kate and David race to unravel a global conspiracy and learn the truth about the Atlantis Gene... and human origins. Their journey takes them to the far corners of the globe and into the secrets of their pasts. Their enemy is close on their heels and will stop at nothing to obtain Kate's research and force the next stage of human evolution--even if it means killing 99.9% of the world's population. David and Kate can stop them... if they can trust each other. And stay alive. SELECTED PRAISE FOR A.G. RIDDLE"...reads like a superior collaboration between Dan Brown and Michael Crichton." -- The Guardian on Pandemic"I finished the book fast because I just couldn't wait..."-- WIRED GeekDad on Departure"Riddle... keep(s) the focus on his characters... rather than the technological marvels"-- Publisher's Weekly on Departure"Well-constructed and tightly-wound as a fine Swiss watch--DEPARTURE has non-stop action, an engaging plot and, of course, wheels within wheels." 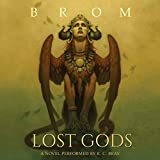 -- Diana Gabaldon, bestselling author of Outlander ABOUT THE ATLANTIS GENEOriginally published in 2013, The Atlantis Gene has become a global phenomenon, topping bestseller charts in the US and abroad. Every year, Amazon compiles a list of the top 100 bestselling Kindle eBooks of the year (by total sales volume). The Atlantis Gene has made Amazon's annual Kindle bestseller list an unprecedented five years in a row--every year since the book's release (2013, 2014, 2015, 2016, and 2017). The novel's unique mix of science, history, and suspense has delighted fans of Michael Crichton, Dan Brown, Clive Cussler, and James Rollins. Thanks to celebrated translations in dozens of foreign languages, The Atlantis Gene has become a bestseller in Germany, Italy, Russia, Taiwan, Japan, and several other territories. Four-time Emmy Award winner David Hyde Pierce is famous for playing the lovably self-important Dr. Niles Crane in the hit TV series Frasier. Now, he brings the same wit and charming arrogance to his Signature Classics performance of Jonathan Swift's Gulliver's Travels. More than just a mock travel book and fabulous adventure, Gulliver's Travels is a character study and social satire that skewers politics, science, religion, philosophy, and pretentiousness with a bite and resonance that remains as fresh today as the day it was published. Maybe that's why it hasn't been out of print in nearly 300 years. 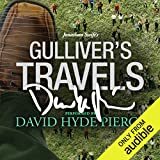 Set sail with David Hyde Pierce for a smart, fun, new Gulliver's Travels experience that's unlike any other. And stay tuned for more one-of-a-kind performances from actors Leelee Sobiesky, Casey Affleck, Tim Curry, and more, only from Audible Signature Classics.